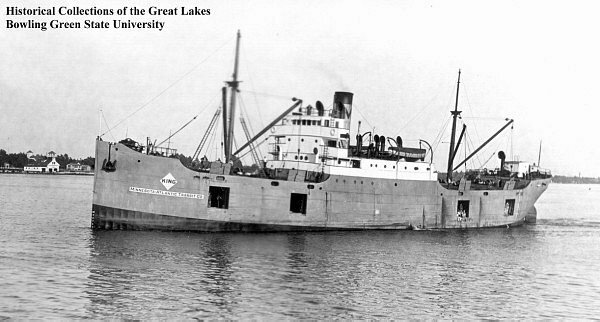 Laid down, date unknown, as the freighter SS Lake Faristell for the United States Shipping Board (USSB), at American Ship Building Co., Cleveland, OH. Delivered, 16 July 1946, to the Maritime Commission, National Defense Reserve Fleet, Mobile, AL. Sold, 12 August 1947, to Merchants Refrigeration Co.
Stranded near Cape Cod, MA, 7 September 1953, while on voyage from St. John's, Newfoundland, for Baltimore, MD. Final Disposition, scrapped by Patapsco Scrap Co.
47k SS King under way in the Great Lakes, circa 1636.